I think Wordles are beautiful and interesting. That is why I have created one for this blog. Click on the image for a full-size version. 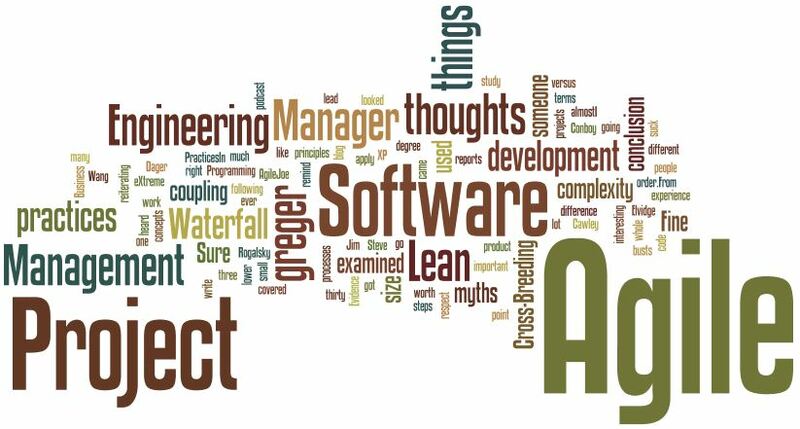 It seems that the “biggest” words in this blog are Agile, Project, Software, Management followed by thoughts, things, engineering and manager. I like that because it shows that my blog stays on-topic. My plan is to get back on this topic with a new analysis every now and then. PS It does look a bit like Australia, doesn’t it?